Hartselle Fire & Rescue is a combination fire department, which consist of 19 state certified firefighter/EMTs and 19 volunteer firefighters. Hartselle Fire & Rescue has two fire stations and is a ISO 5 Class Fire Rating. Hartselle Fire & Rescue responds to all fires, motor vehicle collisions, emergency medical calls and other emergencies, haz-mat and other incidents within the incorporated city limits. The Fire Department is constantly training its own personnel and also conducts various Alabama Fire College classes that are open to outside agencies. Other programs offered by the Hartselle Fire Department include a House Burning program for condemned property, Burn Notifications, and fire prevention and safety training programs for area schools and civic groups. As a team of highly trained and dedicated professionals, it is our mission to provide the highest standard of service to all those who may call upon us for help. We are a highly trained and motivated staff that strives for excellence for our community. We are a service provider and we stand ever ready to render fire suppression, provide emergency medical care, and perform rescue services. 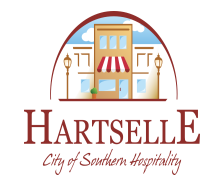 We will faithfully provide these vital services, rapidly and safely, to anyone who lives in, works in, or visits the City of Hartselle. Hartselle Fire & Rescue offers scheduled station tours and fire prevention activities. To burn in the City limits of Hartselle you must go by either fire station and fill at a “Burn Notification” application. ADEM (Alabama Department of Environmental Management) places Morgan County in a “No Burn” every year from May 1st to October 31st.